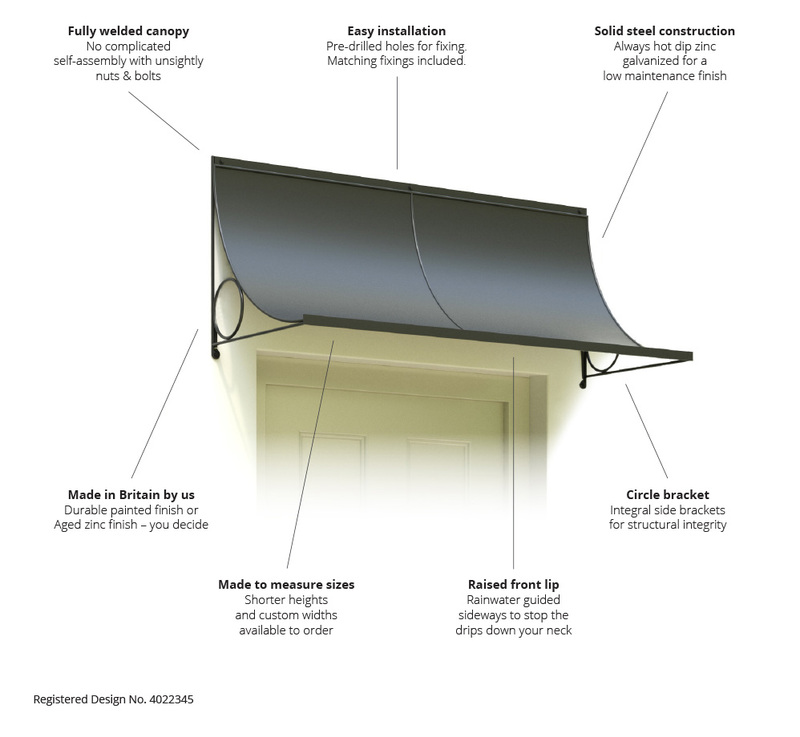 A 24″ deep Scoop door canopy shown in black finish. The 5′ 7″ high wall trellis panels and 18″ circular steel planters are shown in aged finish. 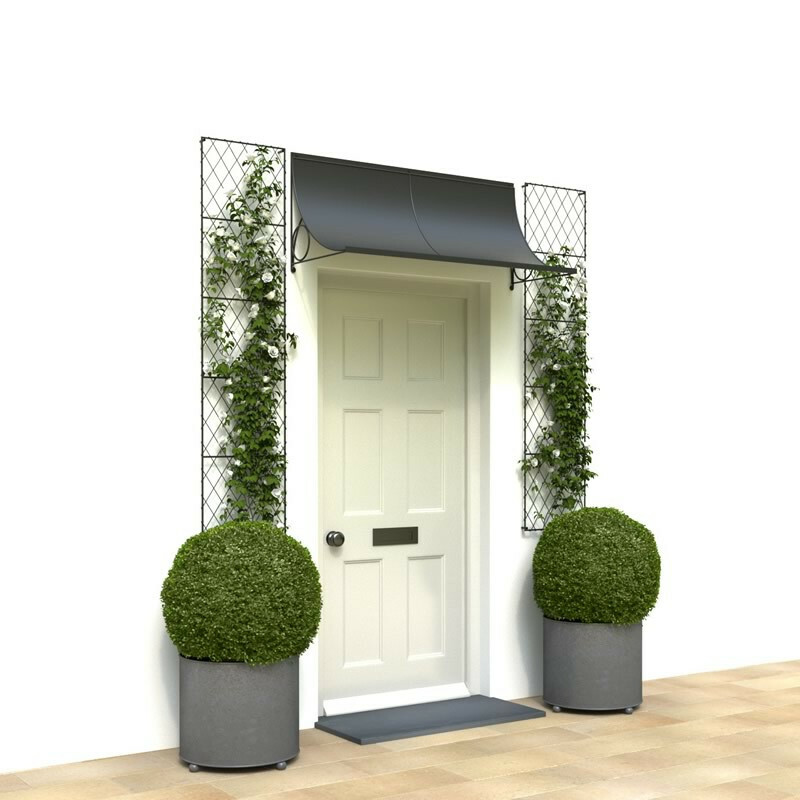 Canopy height of 12.5″ also available to order.